Every Member of the Crew is Dedicated to Making Your Stay Onboard the Very Best Yacht Vacation You’ve Ever had. They are there to pamper you, take care of you and melt into the background when you want to be alone. They are qualified, full-time professionals and we know them on a first name basis. All charter boats we represent have a captain and chef. Boats over 65 feet will have a stewardess and/or first mate as well. All captains are licensed. We’ve followed many of them as they’ve moved up from positions as mates and deckhands gaining experience and training. You’ll also find captains who have retired from successful careers as CEO’s, airline pilots and race car drivers. They’ve turned a passion for sailing and a lifetime of skills into a new “job” doing what they love most. Our chefs are outstanding, preparing meals to rival the best restaurants in quality and creative presentation. NOTE: Don’t get nervous if you overhear your chef talking about time at the CIA. On a charter boat that means the Culinary Institute of America. Many charter chefs spend their vacations at top cooking schools in the US, France and Italy. Charter yacht crews will make your charter a pleasant and memorable experience. When you book a charter on a Nicholson Charter yacht, you will be sailing with a professional charter yacht crew that has your needs and safety at heart. We offer yacht owners and captain’s full Crew Placement Services, and our crewed yacht charters database is filled with international, professional crew. Nicholson Yacht Charters & Services can supply qualified and experienced captains, chefs, officers, bosons, stewardesses, deckhands and engineers. This ensures that you get the best possible charter experience. Prices at Nicholson Yacht Charter & Services are very competitive and we always have the latest news on special offers and discounts on yacht charters around the globe. You can book a cruise that is tailored to your needs by contacting Nicholson Yacht Charters & Services using our online form. Nicholson Yacht Charter & Services strives to provide our clients with a great cruise experience. The company has it’s headquarters in English Harbour, Antigua and Barbuda, West Indies, the original office set righty in the heart of the Caribbean archipelago, with directors Sarah Sebastian and Afsaneh Franklin. When booking a charter yacht with crew, there is no need for any sailing or boating experience, just leave it up to the professionals and enjoy a totally relaxing getaway. As a yacht charter with a crew is the only way the whole family will get a break and be able to unwind in comfort and security. Likewise a group of friends can totally unwind and not have to worry about how to get the yacht from A to B, just leave your professional charter crew to take care of the details while you enjoy and unwind. Booking a private crewed yacht is a great way to plan a vacation getaway that is both relaxing and a quiet refuge from an otherwise noisy world. Crewed yacht charters with Nicholson are totally unidque and provide a great opportunity for you to see islands and country’s that you’ve never seen before. Nicholson Charters are also great for honeymoons, family reunions, and give you the opportunity to take up sports, such as scuba diving and water skiing. The length of time you spend on a Nicholson cruise is really up to you. BVI crewed yacht charters are some of the most popular these days, and as such, Nicholson Yacht Charters & Services understands the great demand for chartered yachts. The British Virgin Islands are a highly desirable location to visit, and Nicholson Yacht Charter & Services has a substantial fleet of Catamarans, motor yachts and mono hull sailing yachts in this part of the world. Nicholson’s is not just a BVI charter yacht company, we also offers charters in the Mediterranean, the South Pacific, Australia and New Zealand. 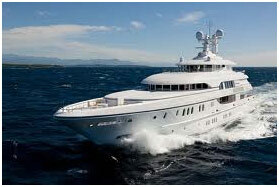 Nicholson also offers crewed yacht charters to the Indian Ocean and the Galapagos Islands. 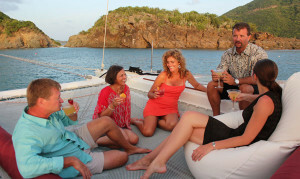 As a BVI charter yacht company, Nicholson gives customers the ability to partake in a variety of activities and offers opportunities to interact with members of the Yachts crew. You can request a crew that caters to your needs and desires as a world traveler. You will find more information on what is happening on the yacht on our On-board page.